The Fairley Elementary Family Fun Night in the Hannibal Central School District brought hundreds of students, parents, and community members together to create a whole host of ornaments and holiday decorations just in time for the holiday season. 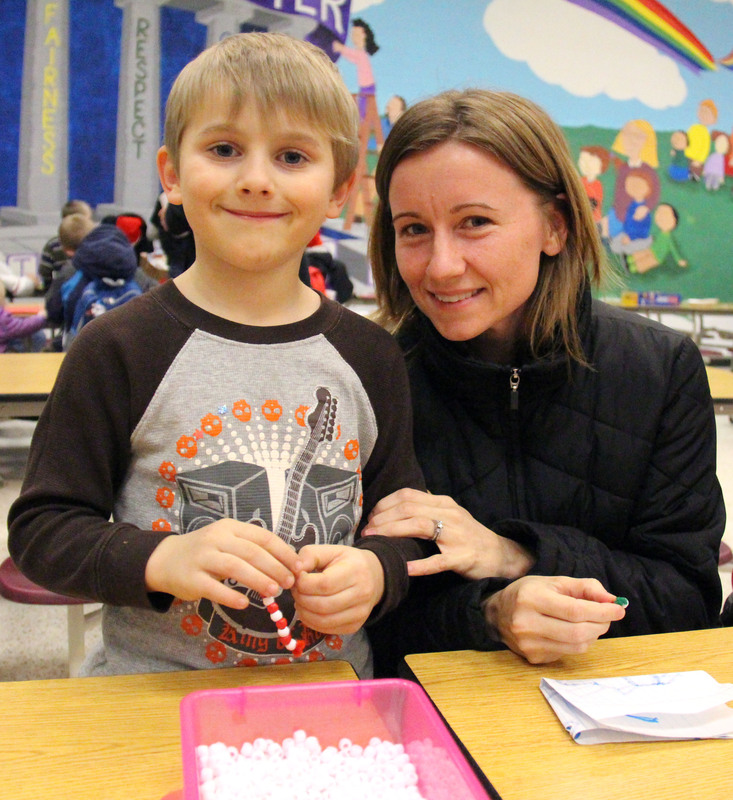 Tyler Amlott is joined by his mother, Deana as they work together to create a candy cane ornament during the Fairley Elementary School Holiday Family Fun Night. The event drew more than 200 participants to create ornaments and holiday decorations as well as holiday memories for years to come. The evening featured stations set up in the cafeteria where children and their parents could create items together including decorated gift bags, Christmas cards, stockings, penguin decorations and several adorable ornaments. The evening not only created decorations for the families’ holiday, it created lasting memories for years to come of time spent together crafting the precious ornaments. Alexis Arnold stops for a moment while crafting a holiday stocking during the Fairley Elementary School Holiday Family Fun Night.